This article was last updated Nov 27, 2018, but some terms and conditions may have changed or are no longer available. For the most accurate and up to date information please consult the terms and conditions found on the issuer website. Furniture is an investment that you hope will last for years or decades to come. But due to the high cost, you may consider opening a store card from a furniture store, such as Ashley Furniture, that has special financing offers. Financing a large purchase over time can be a smart move if you do it right. Currently, the Ashley Advantage™ Credit Card has a $0 annual fee and five special financing offers that can help you pay for purchases over time. In this review, we’ll evaluate those special financing offers and provide alternatives for financing your Ashley Furniture or other home furnishing purchases. *See store for minimum purchase details. 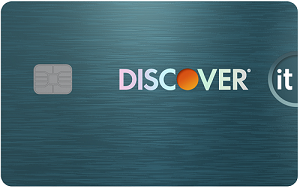 Many store cards charge deferred interest, and the Ashley Advantage™ Credit Card is no different. This means that if you take advantage of the special financing offer of “no interest if paid in full within six or 12 months” and don’t pay it in full before the promotional interest-free period ends, you will incur all the interest you would’ve been charged from the time of purchase. To avoid deferred interest charges, make sure you pay your entire balance in full before the promotional interest-free period ends. Continuing to carry a balance post-special financing period defeats its purpose and may cause you to fall into debt since the interest rate is very high at 29.99%* APR. It’s a good idea to consider alternative financing options for your home furnishings purchases so that you can compare offers to find the one that’s the best fit for your budget. We recommend considering alternatives such as intro 0% APR credit cards and personal loans for your home furnishings purchases. We’ll explain what each alternative is and provide options below. A better alternative to the six- and 12-month special financing offers provided by the Ashley Advantage™ Credit Card are cards offering introductory 0% APR periods. These cards offer no interest for a given period — typically six to 21 months — which can help you pay off purchases over a longer period. The silver lining? All the cards mentioned below don’t charge deferred interest. For example, the Discover it® Cash Back is offering an intro 0% for 14 months on purchases (after, 14.24% - 25.24% Variable APR). If you have existing debt on a credit card or your intro 0% APR period for purchases is about to end in two months, check out a balance transfer card. A balance transfer is when you transfer debt from one credit card to a card offering an intro 0% APR period on balance transfers. You may incur a balance transfer fee, but the cost is often outweighed by the amount you save on interest. Just note: Balance transfers can’t be done between cards from the same bank. If you notice your special financing period is going to expire soon and you’re unable to pay off your balance, you should consider a 0% balance transfer card. (865) Over the Past 60 Days! Read our guides on the best balance transfer cards and the longest into 0% APR cards. A personal loan lets you borrow a fixed amount of money for a fixed period at a fixed interest rate. Depending on your credit scores and income, you may find you qualify for a personal loan at a lower APR than what many credit cards offer. They can also be a good Plan B for people whose credit is not strong enough to qualify for the best promotional APRs offered by retailers, which tend to be available to those with good or excellent credit. If you plan on making several home furnishing purchases at different stores and don’t want to open a credit card, a personal loan also gives you that flexibility. You can use the money you receive from the loan to cover the cost of various home furnishing purchases. You can compare personal loan offers from numerous issuers for free at LendingTree. (Disclosure: LendingTree is the parent company of CompareCards.) This comparison tool is customized to your needs, and you could receive offers from up to five lenders in just a few minutes. The special financing offers provided by the Ashley Advantage™ Credit Card can allow you to pay for purchases over time without accruing interest — as long as you follow the terms of your offer and pay in full before the special financing period ends. 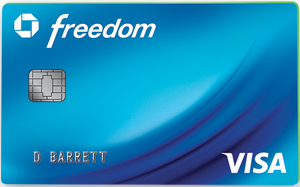 This card is best used for the 18-, 48-, 60-, and 72-month interest-free periods since all you need to do is keep your account in good standing and make equal monthly payments during the term to benefit from no interest charges. We don’t recommend using this card for the six- or 12-month financing periods since they have deferred interest. You’d be better off using an intro 0% APR card with no deferred interest terms and a longer intro period. *Terms and conditions apply. This offer and/or promotion may have since changed, expired, or is no longer available.